Detroit—car capital of America—has had difficulty recovering from a decade-long economic downturn. Many companies have left the Motor City, outsourcing their manufacturing, assembly, and materials production overseas. Shinola is bucking that trend, manufacturing headphones, luxury watches and watch straps, hand-built bicycles, and high-end leather goods here. (You can read the larger story behind Shinola’s drive to bring manufacturing back to the U.S. here). 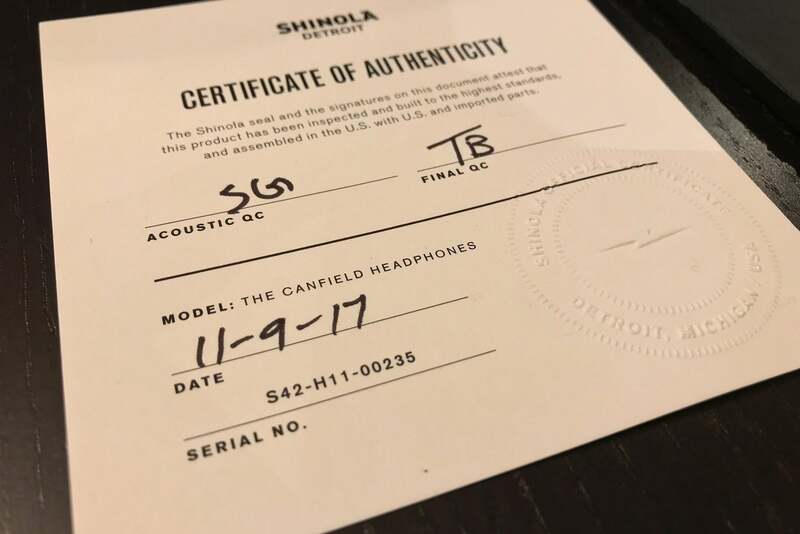 It’s a noble effort to be sure, but it's not enough to make Shinola’s Canfield on-ear headphones worthy of their substantial price tag. Shinola’s $495 Canfield headphones are designed, assembled, and tested in Detroit. Most of the components inside them, however, are manufactured overseas. The Canfield display meticulous attention to detail. My review pair came in the company’s cognac shade, though you can opt for black and silver or gloss black. Gloss black carries a $55 premium. 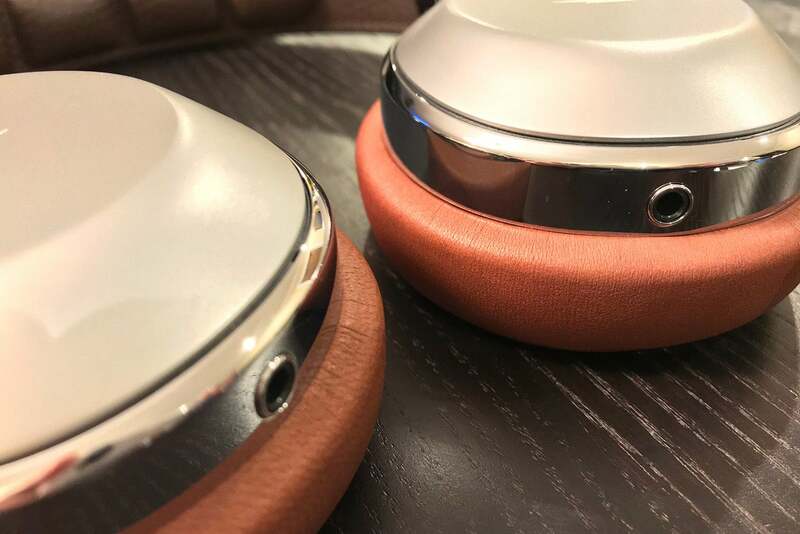 These headphones feel like a luxury product, a factor that helps them sell at high-end retailers such as Nieman Marcus, Nordstrom, and Bloomingdales. Their build quality is reminiscent of the classic American spirit of well made and built to last—a motto the company displays on some of its other products, including its wristwatches. The Canfield are made of stainless steel with alternating brushed and mirror finishes. They're gorgeous, without a hint of plastic on any critical component. The Canfield are made of stainless steel and trimmed with top grain leather. The Canfield are wrapped in luxurious, high-quality leather that Shinola sources from Chicago’s Horween Leather Company. 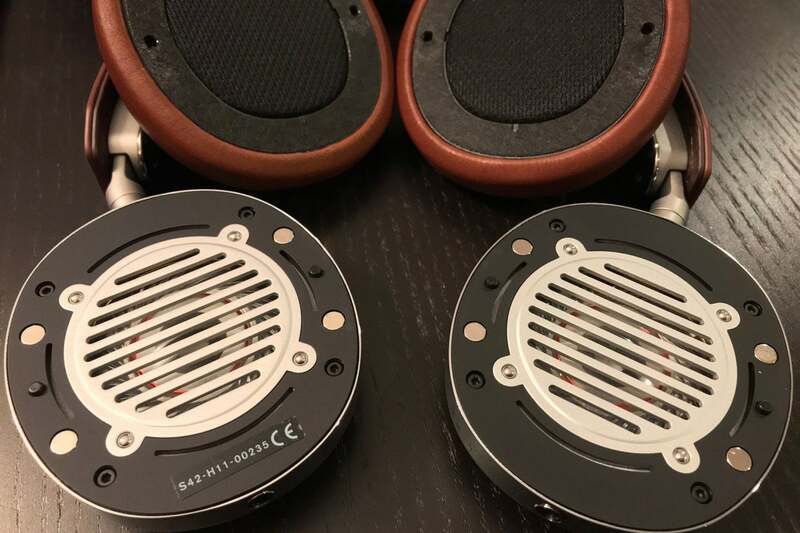 You’ll immediately note that you’re purchasing a crafted piece of audio gear, not simply another pair of headphones. The magnetic, memory-foam ear cups are covered in soft lambskin that feels great against your skin. The magnetic ear cups snap into place perfectly. Be warned, however, that the ear cups fall off when enough force is applied. If you’re accustomed to packing your headphones in a backpack, you’ll find occasions when you pull them out sans ear cups. It happened to me. In my book, B&W’s headphones are the goldilocks standard for how magnetic ear cups should be designed. Two shades of top-grain leather envelop the cushioned headband, which Shinola says gets more comfortable over time. The Canfield definitely need significant breaking in. They will feel tight at first and exhibit some initial pressure on the top of the headband. 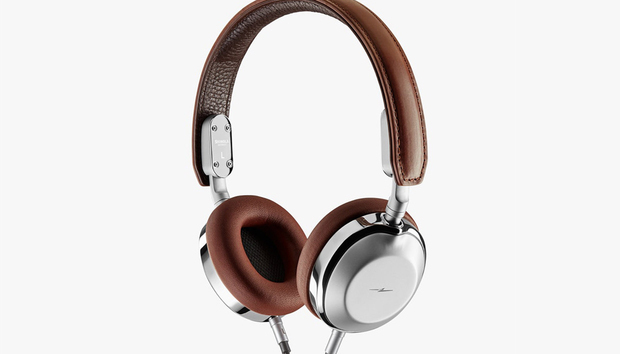 They reminded me of the feel of the B&W P7 headphones, which also needed a break-in period. In this case, however, I never reached the point during my review period where the Canfields felt entirely comfortable. The stainless steel styling has alternating brushed and polished surfaces for a gorgeous look that nods to the company’s wristwatch line. The Canfield have a 50mm dynamic transducer with a frequency response of 20Hz to 24kHz. At 41 ohms and an efficiency of 115db SPL/V @ 1kHz, you won’t have a lot of trouble driving them with an average smart phone. I used an an iPhone 7 and iPad Air without issue. As you’ll see below, you should never purchase a pair of headphones—or any piece of audio gear for that matter—purely on specs. Always audition your gear. The inline remote is simple to use. The inline remote control is located at the collar of the left and right ear cup cables. It makes it easy to find and natural to use without looking. The round play/pause button in the center helps you get oriented. The top button increases volume while the lower button decreases it. You have 16 volume steps in total. The steps were a tad too much of a jump for my taste, and I lost granular control of the volume. Pressing the play/pause button twice advances to the next track, while triple pressing it will go to the previous track. Rewind and advance, however, didn’t always work for me as advertised. I sometimes got a paused song when I actually wanted to skip to the next one or go back to the previous. The microphone sits on the right cable, falling just below your jaw. I placed a few calls with the Shinola Canfield and people on the other end always heard me just fine—even in some windy New York City conditions. 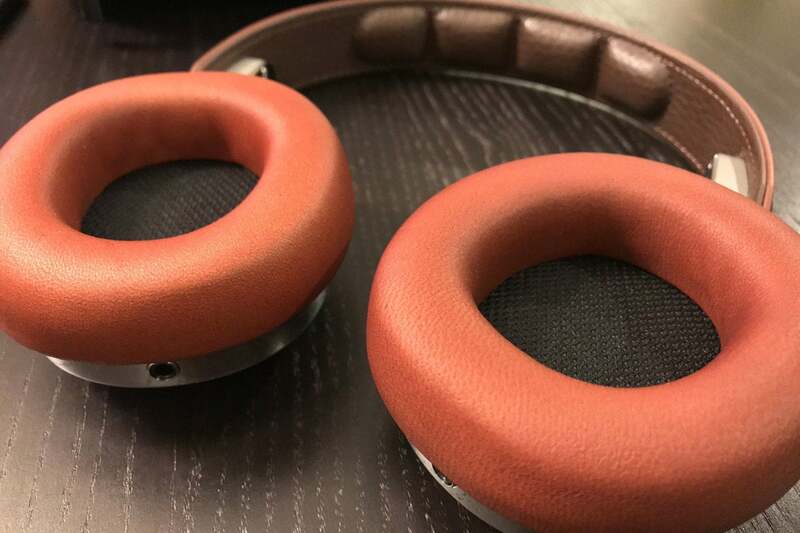 The magnetic ear cups are made of soft lambskin. These headphones’ features and accessories are both Spartan: There’s no wireless, noise cancelling, or any other high-tech features. You get the headphones, a hard carrying case, a pouch for the headphone cable, and a certificate of authenticity. That’s it. There’s no 1/4-inch adapter for high end DACs or an airline adapter for travel. It’s not a deal-breaker to be sure, but most headphones supply one or both of those accessories. I do wish that the included carrying case had a mesh pocket either on the inside or outside to hold the headphone cable. Speaking of the headphone cable, it’s soft and highly flexible, wrapped in a nylon, tangle-free braid. 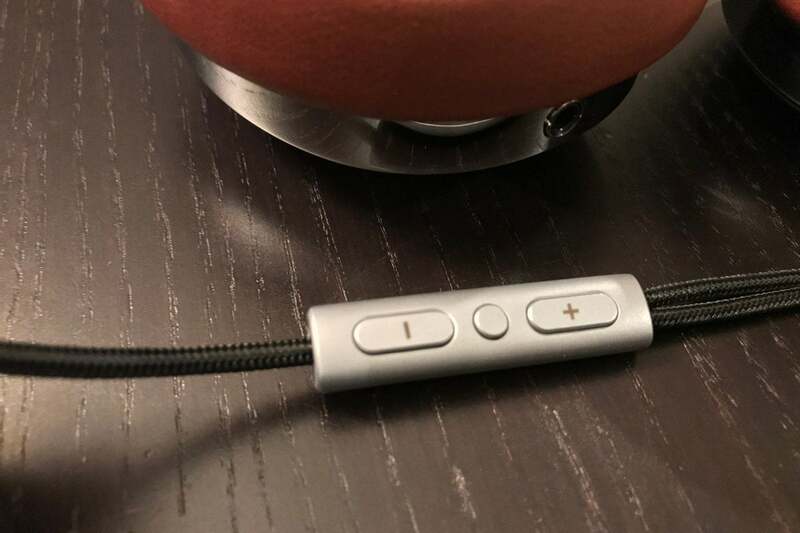 It’s the perfect length for using with a DAP but might be too short if you envision using it with a dedicated headphone amplifier unless you’re sitting right next to it. The ear cups are magnetic and easily removable. That isn’t always a good thing if you like to throw your headphones in your backpack. I tested the Shinola Canfield on a variety of devices, including Astell&Kern AK70 and Pioneer XDP-100R hi-res DAPs and an iPhone 7. I played a variety of files including lossy AAC-encoded and lossless FLAC, ALAC, and DSD files. I had a similar experience across devices and my comments below are specific to lossless files played through the Pioneer and Astell&Kern hi-res DAPs. My nephew and his girlfriend are musicians. Their band has several albums on Spotify, Tidal, and Apple Music. My nephew spending lots of time with headphones mixing music. 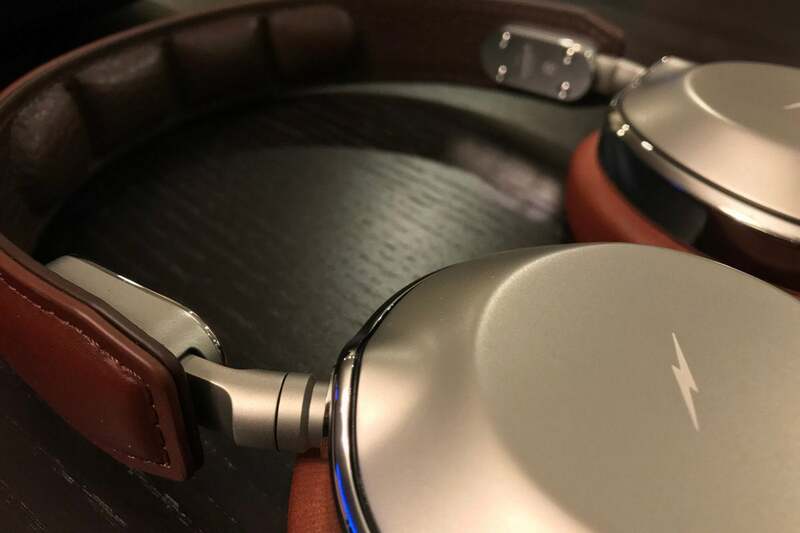 When they visited over the Thanksgiving holiday, I had them try the Shinola Canfield and compare them to a half-dozen other headphones in my reference collection. They both loved the look, feel, and style of the Canfield, but felt that they couldn’t compete sonically with the likes of the Meze 99 Classics, B&W P9 Signature, or Oppo PM-2. Compared to the B&W P9 Signature, for example, the Shinola Canfield’s midrange was more syrupy and its top end lacked crispness. When playing Michael Jackson’s “Bad” (24-bit/48kHz FLAC) from the eponymous album, the Canfield failed to convey the same clarity and air that the B&W’s could. The top end was muted and the midrange bloated. The B&W’s, in contrast, created a much better musical presentation with a nicely layered soundstage with solid air and placement. The same held true when I compared the Canfield on the same tracks using Beyerdynamic’s Amiron Home and Oppo PM-2. The included accessories are few and far between. 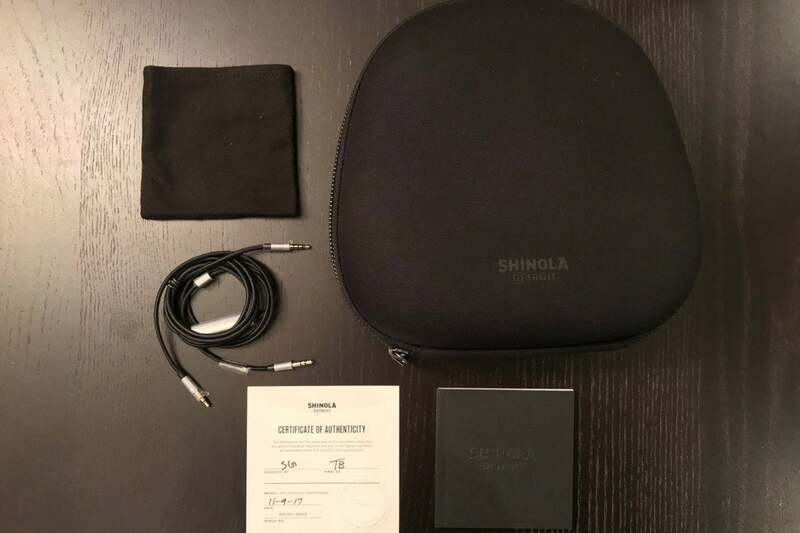 You get just a hardshell carrying case and bag for the headphone cable. The Canfield’s voicing also delivered a sub-par performer on Patricia Barber’s Café Blue. The hi-res FLAC track sounded more like a compressed MP3, with glaringly flat dynamic range. Bass bloat was apparent on “Too Rich for My Blood.” Bass lines were sloppy and unrefined. The crispness and immediacy of the cymbals played throughout the track were significantly muted. The Meze 99 Classics—coming in at almost half the price of the Canfield—did a far better job of conveying the recording’s openness, dynamics, and timbral accuracy. I next turned to some classical music and played Bach’s Suites for Solo Cello in G and D Major performed by Janos Starker (24-bit/176.4kHz FLAC). Played through the far more expensive and outstanding Focal Clear headphones, “BWV 1007 Prelude” was intoxicating as rich cello notes bust forth from a spacious soundstage. The energy and delicacy of each bow stroke could be discerned as though I was there, in front of the performer. Sonics took a significant hit played through the Canfield. It was as though I was listening to the performance through a veil or behind a door. Bow strokes lost their precision and detail. Worst of all, my musical involvement suffered. Each pair of Shinola Canfield heapdhones comes with a certificate of authenticity. No offense to the great Canadian rock band The Tragically Hip, but the Canfield are hipster cans with gorgeous styling, luxurious leather, and solid build quality. Everyone who saw these headphones during my review period fell in love with their looks. But everyone also agreed that they don’t belong in the big leagues in terms of performance, falling sonically short even when compared to some less-expensive competitors. Heads will turn your way with the Canfield on your head, but the music pouring into your head won’t sound as good as it should.